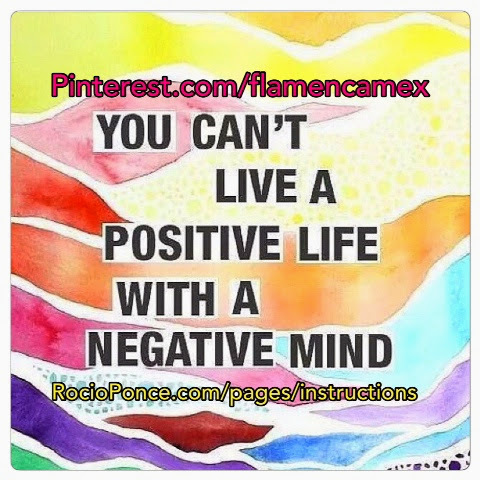 You can also join me on Instagram & Pinterest under Flamencamex. Always drink plenty of water (if you can't drink a gallon a day, then stay hydrated to avoid being thirsty - remember, when you become thirsty, that means you're not drinking enough water). Please share this blog with others! 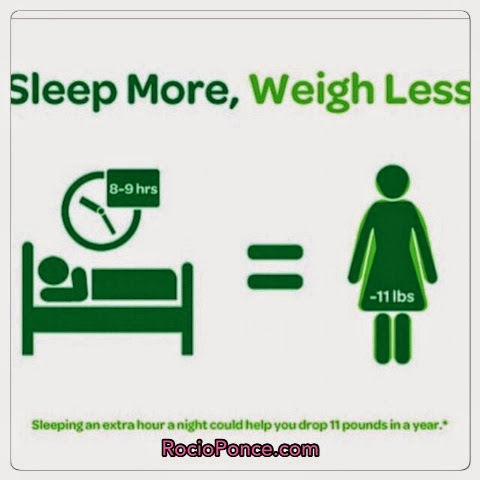 Did you know that the less you sleep, the more you eat. Why? Your body needs energy to stay awake. When we lose energy, our bodies get hungry. Part of your workout régimen should include getting some rest. 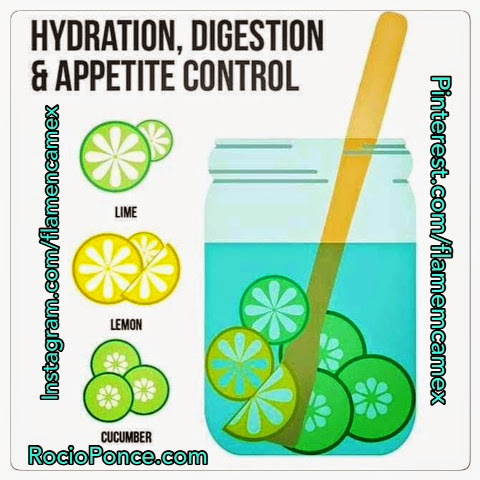 I know that some of us get bored of drinking water, that because it's part of your workout régimen. Well, it is. However, you can make your water drinking a lot of fun. Google home made flavored waters. Here in this image is one way of flavoring your water so that it's that much desirable. 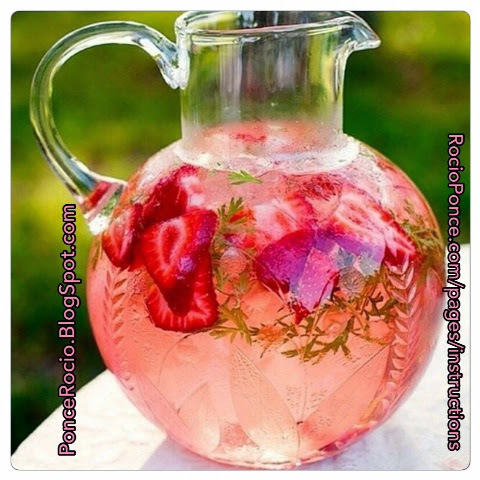 In a glass jug, or big mason jar, fill it with water, add sliced strawberries, & some rosemary. Leave in the fridge over night, and yummy! Oh yeah!! Taste so yummy. Breakfast!!!! The most important meal of the day, ladies & gentz. Because it jump starts your metabolism. Plus, if you were sleeping all night, then it also takes energy to sleep; thus you've been on an empty stomach all night. Here is one of my usuals. Ingredients: gluten-free quick oatmeal, almonds, walnuts, blueberries, raspberries, vanilla protein powder, almond milk. 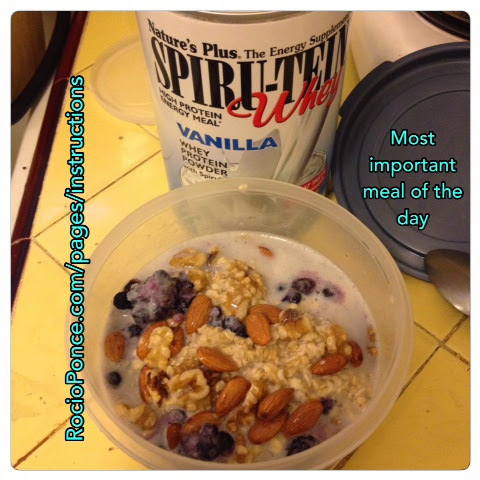 Mix half scoop of vanilla protein powder to the dry oatmeal (1/2 or 3/4 cup of oatmeal) & mix together. Pour boiling hot water over a 1/2 or 3/4 cup of quick oats. Use a tracker you can wear around your wrist to keep track of your calories. (1) On all fours. Tuck your tail bone & leave it tucked. Slide your shoulders down your spine, contract your abs. 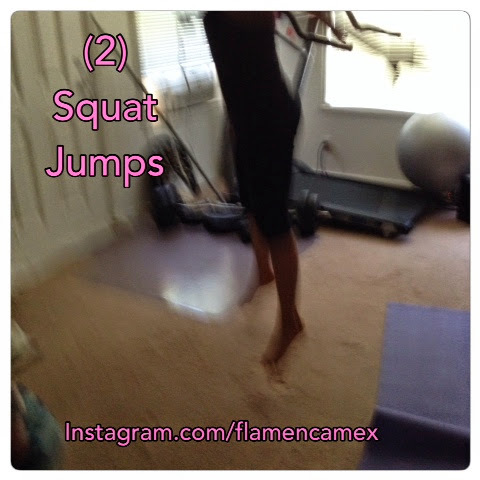 (2) Lift the leg, but make sure you don't compromise the tight form you've created up above on number one. Make sure both hip bones stay horizontal or parallel to the floor. Make sure you don't shrug your shoulders (keep those shoulders away from your ears). (3) Bring the lifted leg's knee to your chest. And repeat the back leg lift exercise for a total of 30 to 45 seconds. Switch legs. 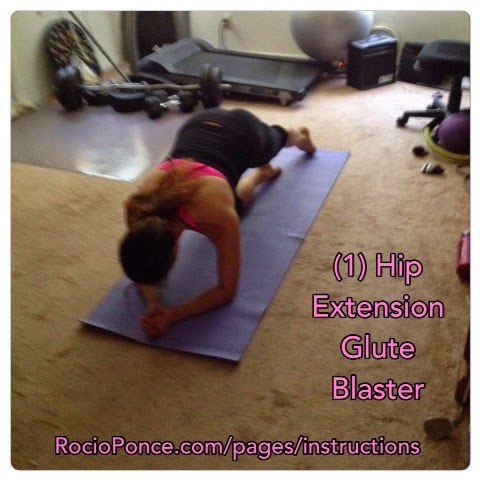 Circuit train the 'Hip Extension Glute Blaster' three times on each side in between the other exercises your about to do. In other words, do three sets (keep scrolling down). 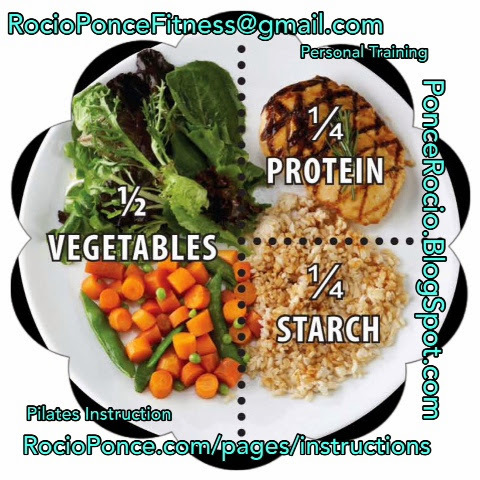 Remember, 80 to 100 percent of your workout regimen is your diet. So if you eat unhealthy and still workout, the results will show. Possibly not the results you want. So while you're working out, you might as well eat clean. Remember, food is for fuel, not therapy. 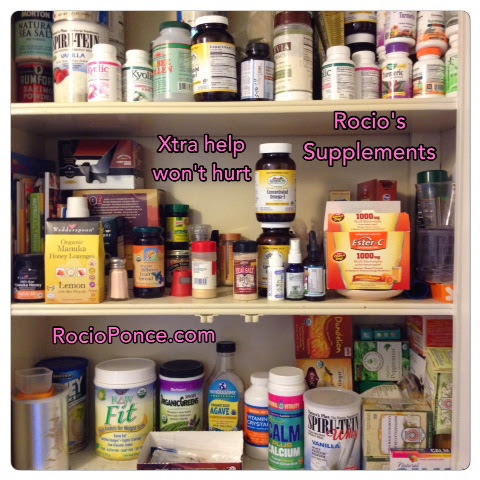 Our supplementation. You never know how depleted our food can get after taking it out of the earth, or when you eat grass fed animal protein, we still need a little healthy boost of what we might not be getting with our foods. Yup!! This is how home looks like :-). Sometimes, I open my capsules and blend them with my green drinks. 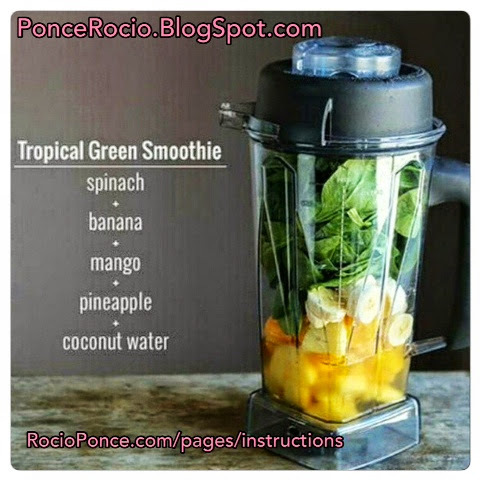 You can't deny this green smoothie. Tastes delish. On a hot day like today, add ice so that it's nice and cold. And if you want (optional) add a scoop of vanilla protein powder. Oh yeah!!! The coconut water will hydrate you. Make sure when you squat down, you go down to the best of your ability without out compromising your form & alignment; and also when squatting, don't let your knees go in front of your feet. You can always ask me any questions you'd like here on this blog, or email me personally. 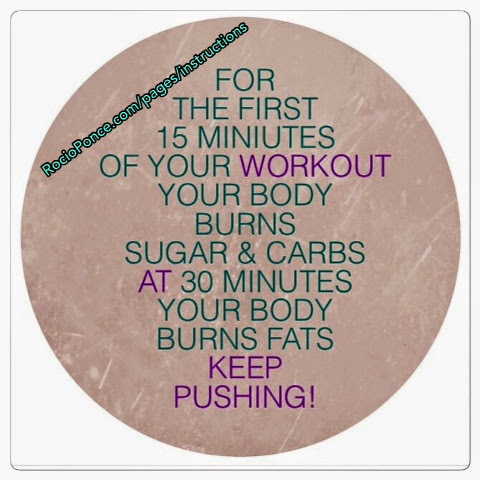 You push from your squat up off the floor. In other words, jump up :-). 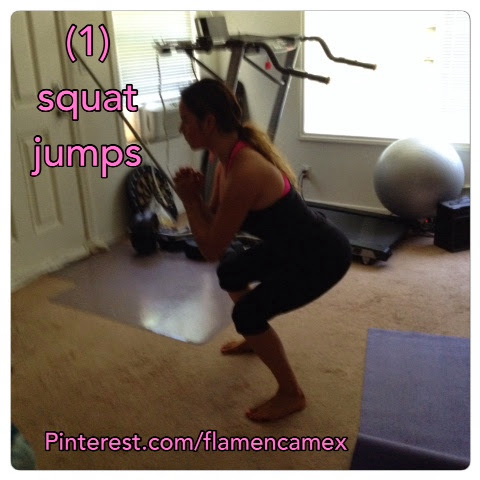 Do this squat jump over & over for about 30 to 45 seconds. 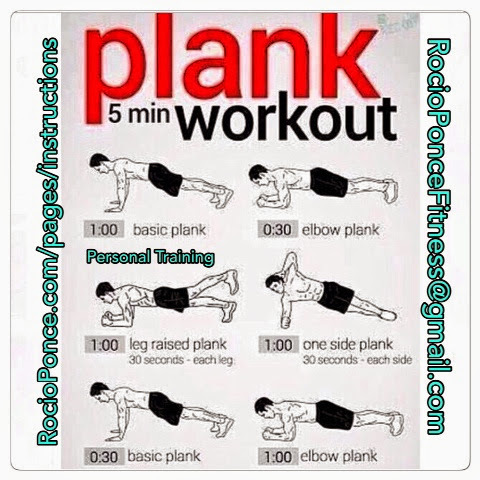 Circuit train this one in between the other exercises three times (do three sets of these). Modification: don't jump, just do simple non-jumping squats. 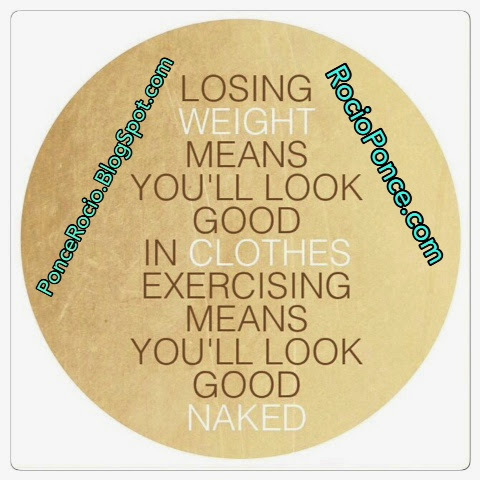 When you start a workout regimen, try to always stay positive & motivated. Do what it takes to get the junk out of your head so that you can work on your body. Don't let anything or anybody stop you from achieving your mental & physical goals. You have the power to transform yourself into a better you. 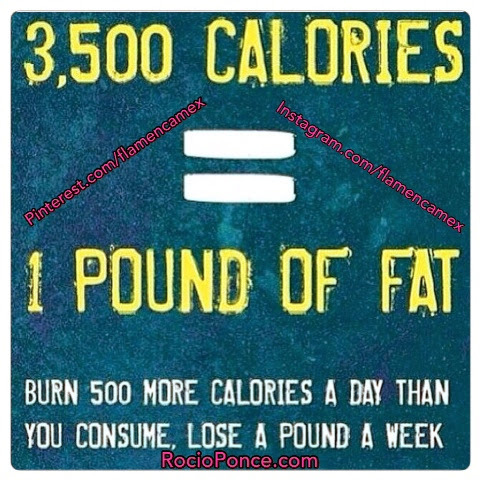 It is so important to workout while on your portion control meal plan. Because as your meal plans are helping you from letting fat accumulate, exercise helps the elasticity if your skin stick to your muscles so that as you lose weight, your skin doesn't sag. Yes, I said it. It's true. I gotta say it how it is. Tonality doesn't just develop from eating clean. It will help your workouts though. However, tonality comes from building muscle. 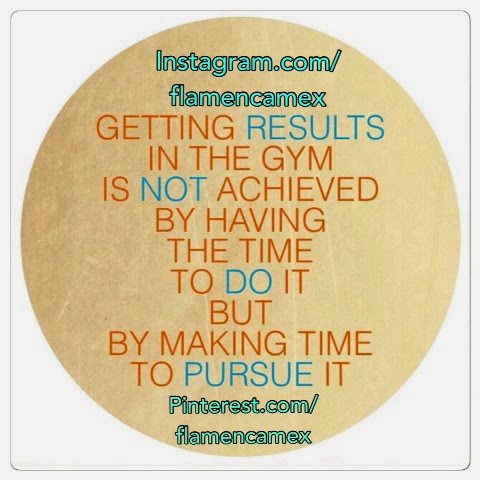 So if you want to sculpt & tone, you have to do both: exercise & eat clean. There's no cutting corners on this one. Hahahaha!!! So true. 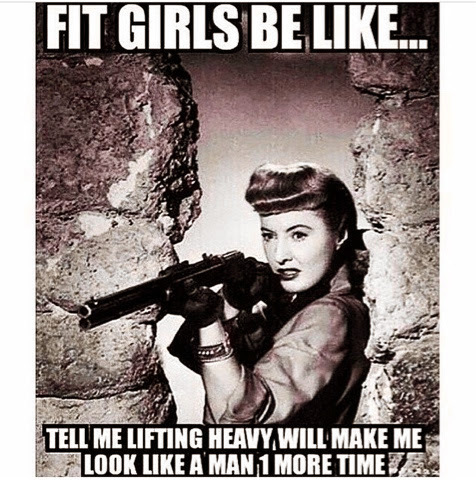 No ladies, You won't look like a dude if you contract that muscle. I do both Pilates & body weight training. That's me. So if you use free weights, don't be scared. 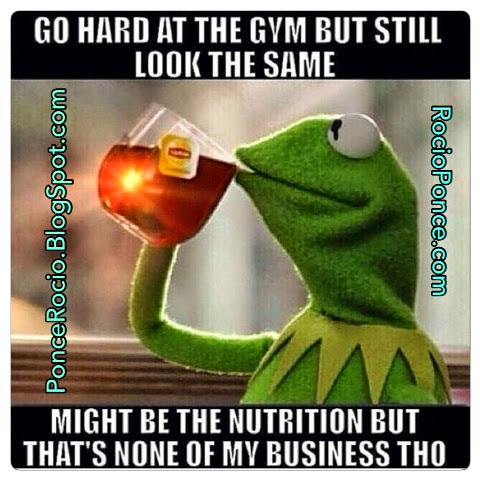 With a good diet, some cardio, plus strength training, you can't go wrong. It's not a mystery. It's just science. 4. Bridge up your hips (don't let your top ribs open up. The top ribs closer to your heart). 6. Bring your hips half way down then up right away. Do this over & over for about 30 to 45 seconds. 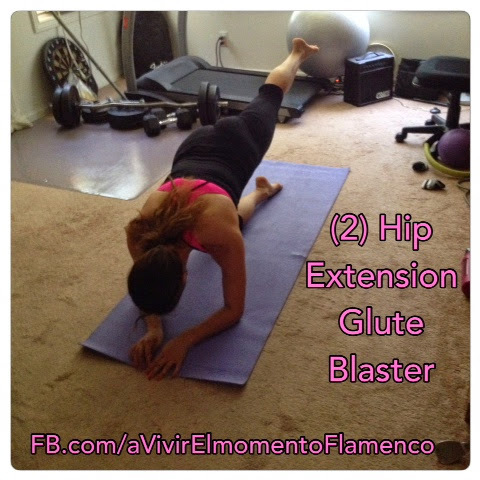 You'll feel this one on that Glute :-). Then switch sides. Circuit train this exercise in between the other exercise in three sets. 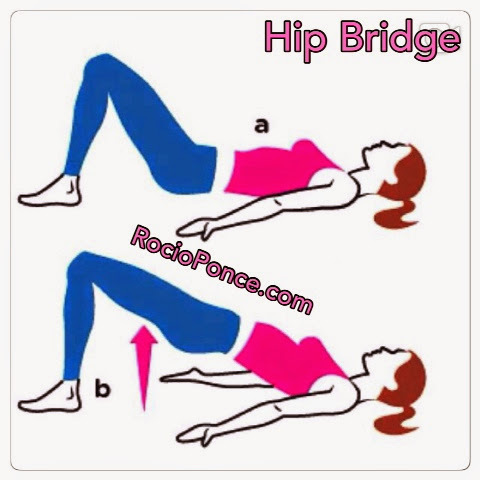 You can do the hip bridges with out having one leg up (optional). I made this the other day & oh boy. It was indeed delicious. I added all the ingredients together. 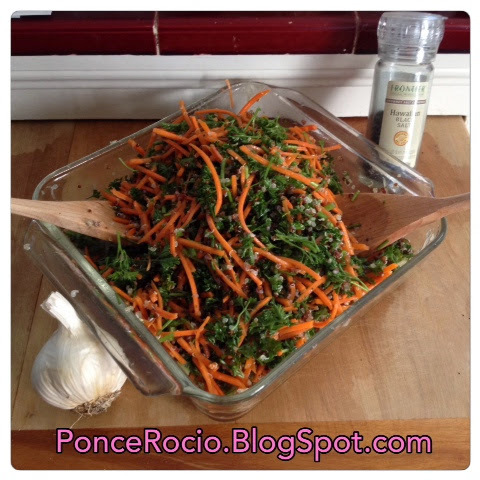 And I also added pressed garlic. 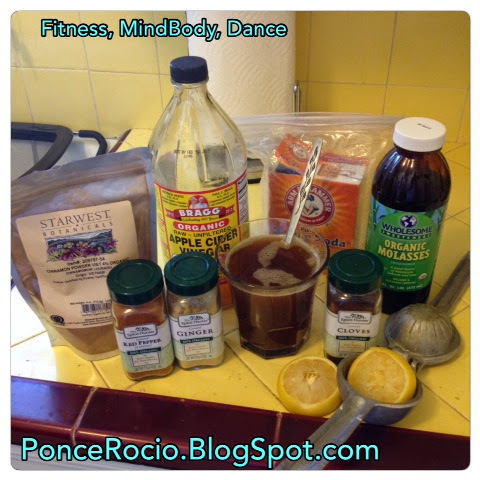 For dressing, I added extra virgin olive oil, squeezed some lemons over, and sprinkled a little bit of black salt. 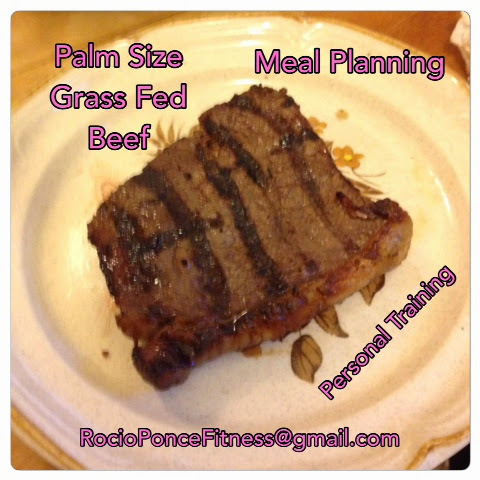 I also had a palm sized piece I grass fed beef sirloin. I grilled it and simply added a little bit of Himalayan salt on the meat before I grilled it. It was so good. Now, usually I eat chicken, turkey, or fish, but today is my cheat meal day, so I'm rewarding myself with a palm sized sirloin steak. I don't recommend you eat beef every day, okay? Keep the protein lean & light. 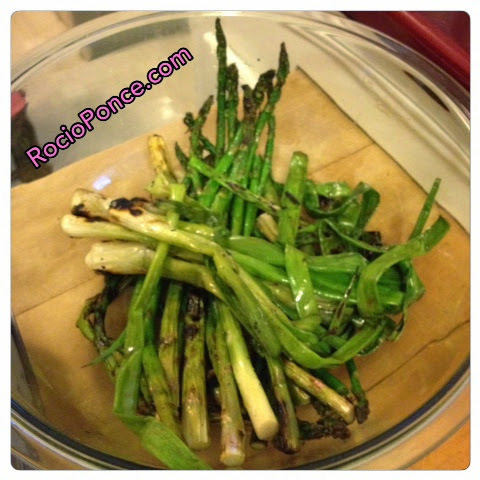 We also grilled some asparagus & green onions. Before grilling them, I marinated them in olive oil, garlic & sea salt. Watch your salt intake. I only use a pinch or two of salt. I don't pack it on. You can hold this one for about 30 to 45 seconds. Do both sides, okay? 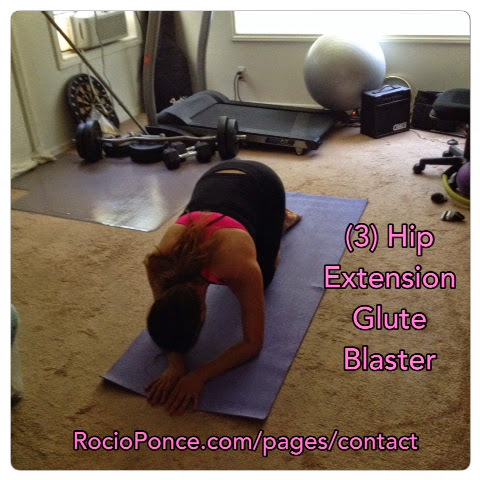 You can also turn this exercise into hip lifts (lift your hip over & over, but never lett your hip touch the floor. Your stating & ending point should look exactly like this image of me before and after you lift that hip. Again, hip lifts are optional. You can simply hold this position for the amount of time I mentioned (optional is hip lifts over & over for the same time duration). Make sure the shoulder that's closest to the floor doesnt shrug up to your ears. Keep your neck long, shoulders should be pressed away from your ears & towards your feet. Keep your spine long, pull your abs in. c. Bring that lifted let's knee to the opposite elbow while staying in a plank as much as possible. Do this exercise over & over without compromising your form for about 30 to 45 seconds, then switch sides. Circuit train this exercise in between the other exercises three times (do three sets of this, in other words), okay? Here's this one. 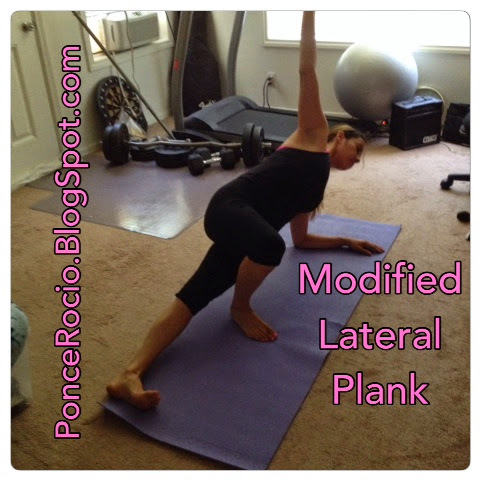 You can substitute the Leg Pull Front exercise for this one if you'd like. But if you're crazy, you'll do this one too. I dare you :-). It's a process. 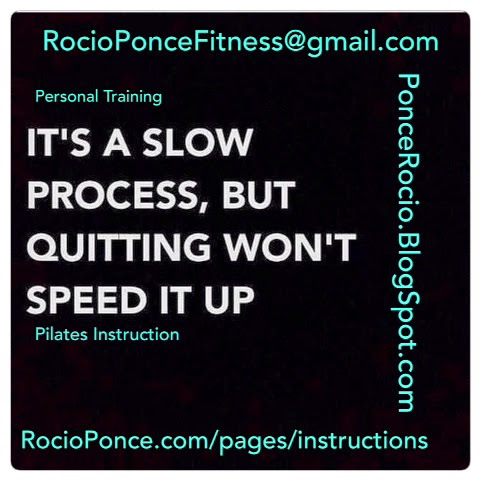 Don't expect results in 12 sessions with me. You have to be committed to changing your mindset first. Then the rest will fall into place. 2. Bring your upper body up, but leave your legs on the floor. Lift up over & over for 30 to 45 seconds. Circuit train this exercise this three times (three sets). Keep your neck long. Remember that your neck is an extension of your spine, so when your torso comes up, the neck should not crease & head should not look forward. Your neck & head will only come up as far as your torso allows it. Same queues & tips apply to this one as well. When your body goes up, tap your heels three times like Dorothy from the wizard of oz, then come down, do this over & over for up & down with taps included for the duration of 30 to 45 seconds. a. Press the back of your waist & the back of your ribs into the mat. b. Legs straight up w/ feet flexed. Hands behind your head, shoulders toward the direction of your hips, pull in your abs. 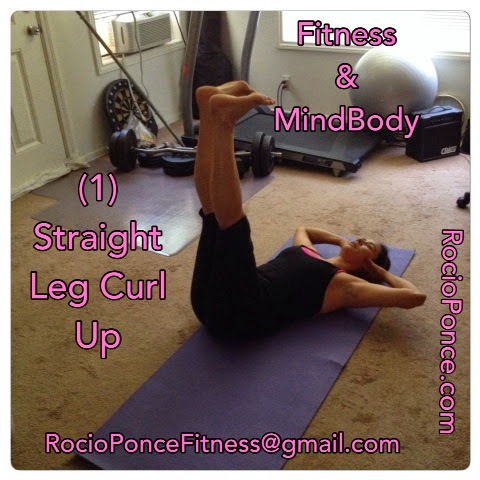 c. When you curl up (crunch up), simultaneously bring one leg down while the other stays up. Bring that leg up while bringing upper body down. d. Curl up the upper body up again while the other leg goes down. Keep doing this over & over alternating legs. 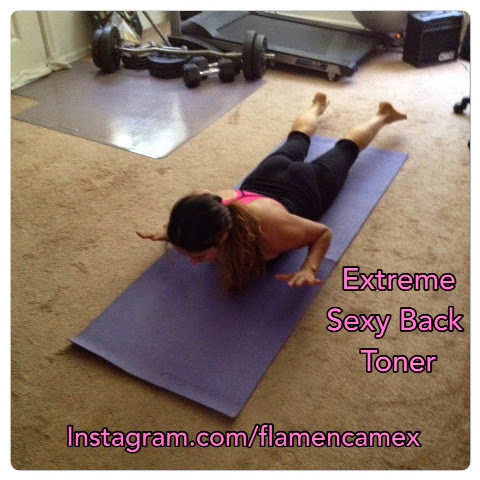 When you bring your upper body down, keep your back imprinted into the mat by pulling in your abs. When bringing the upper body up, don't let your shoulders shrug up to your ears. 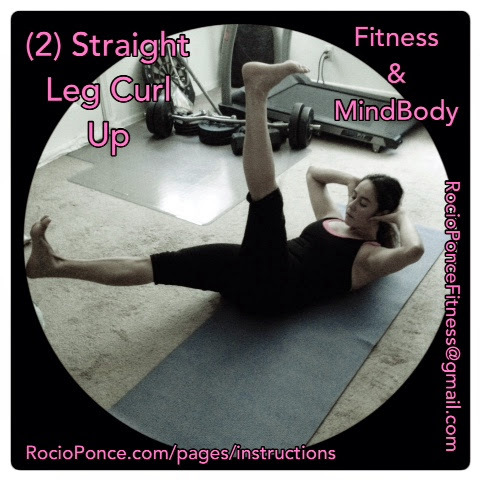 Do the Straight Leg Curl Up exercise for the duration of 30 to 45 seconds & circuit train this one three times in between the other exercises (do 3 sets). Straighten one leg up out in front, while the other is bent from the knee. 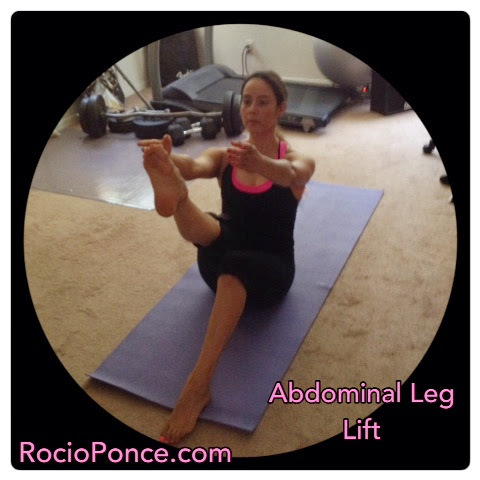 Lift the same leg up & down for 15 to 20 seconds, then switch to the other leg for another 15 to 20 seconds. Circuit this exercise three times in between other exercise sets. 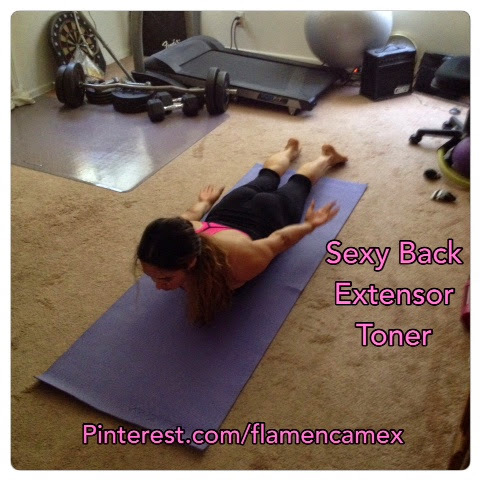 Bring your shoulder blades together toward each other & slide those blades down your back in the direction of the floor. Press shoulders down by activating & engaging your Lats (Latissimus Dorsi) down. 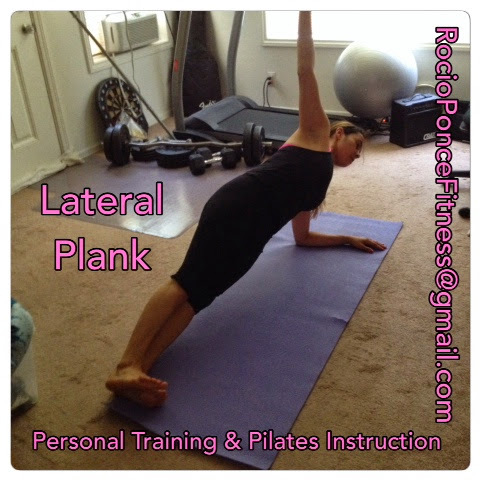 Your Lats are those muscles surrounding the lateral back part of your ribs, located right under the arm pit on the lateral part of the shoulder blade facing away from the spin. 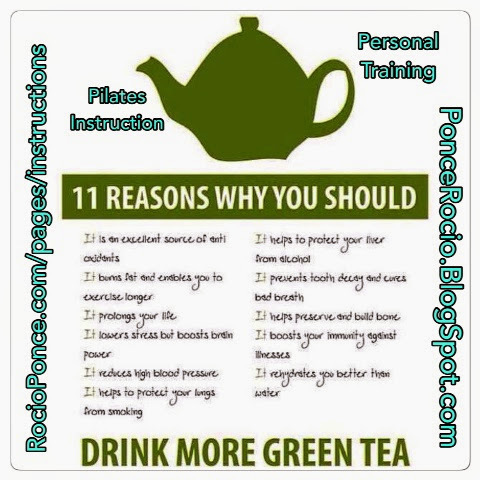 I'm a Personal Trainer & Pilates Instructor. 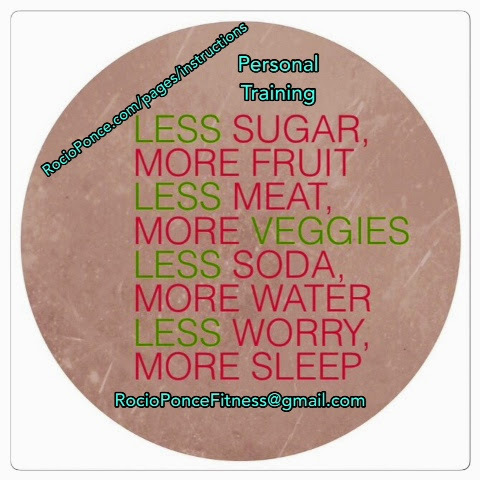 I teach private sessions, semi-private sessions, & group classes. 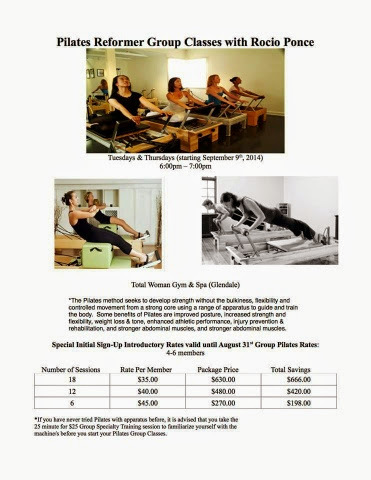 Don't miss my Pilates Reformer classes as shown below. 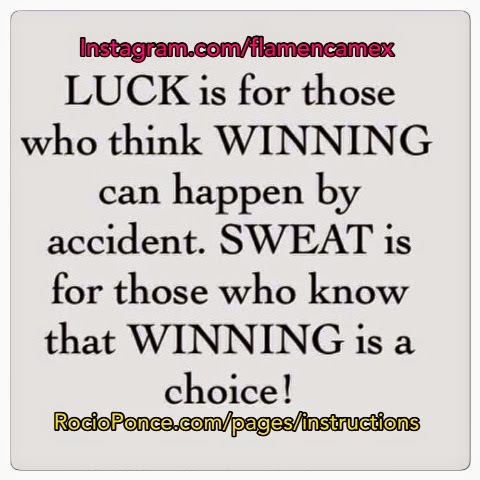 You'll feel the muscle fire up while you're sweltering with sweat. Why? Because that's how I designed it. Feel the burn. 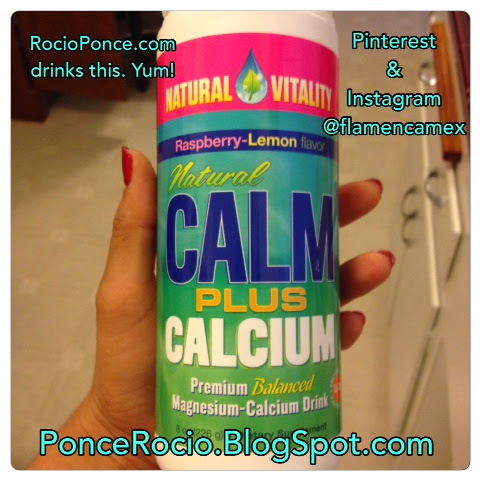 May I recommend some Calm by Natural Virality? I've been taking this stuff for a couple if years now. Not only does it reduce the soreness of muscles after a good workout, but it relaxes your muscles (you'll fall asleep within 10 minutes of drinking it. Do it right before you go to bed). Also an all time stress reducer :-). 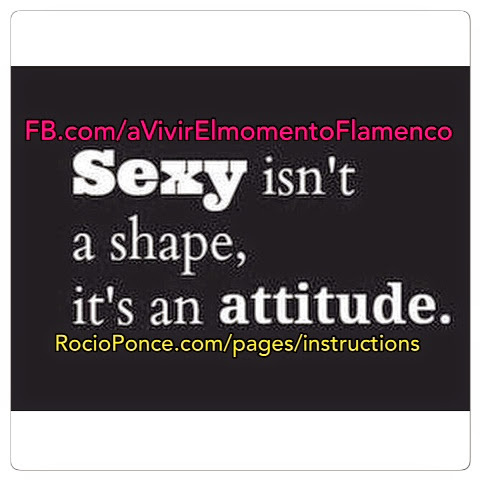 Also, I am not only a Personal Trainer, Pilates Instructor, Group Fitness Instructor at Total Woman Gym & Spa, Equinox, Pacific Coast a Pilates Studio and also a Lecturer for The School of Kinesiology & Nutritional Science at California State University Los Angeles, but I am also a Flamenco Dancer for over 30 years. 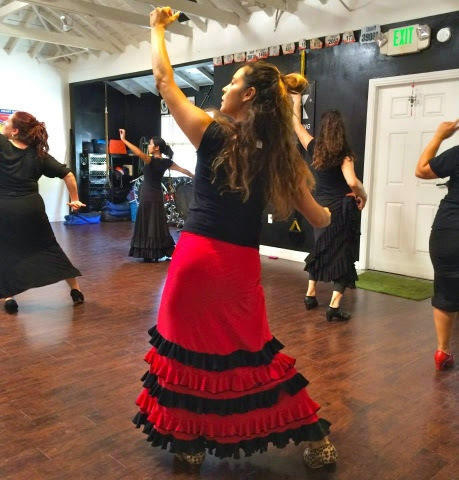 We're putting a list together of those whom are interested in taking Flamenco Dance Cardio at Back To Basics in Glendale CA. 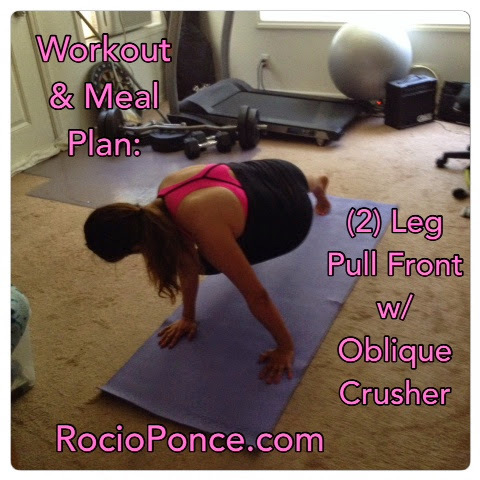 Rocio Ponce toned arms from doing Flamenco Dance arm work exercises. SEE YOU NEXT TIME ON BLOG #41.